Today we are keeping our #FeatureFriday short. As you may have noticed last week on our Facebook, Twitter and LinkedIn – we were set up at the MoDOT TEAM Meeting. We had a great time meeting everyone and attending some informative sessions. 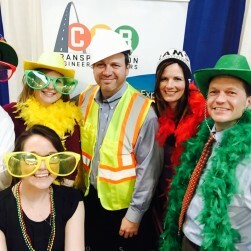 For those of you that stopped by our booth, you saw our #CBBSelfie photobooth. We used a selfie stick to get some great photos! Some people chose to dress up. To view all of the photos, check out our Flickr page here! Thanks for stopping by and saying hi and having some fun with us. We will see you next year at TEAM, and many upcoming events.